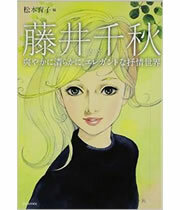 Chiaki Fujii created the covers and many illustrations for various teenage girl's magazines after the war. Young girls in those days were captivated by him. He also illustrated picture books for elementary school children. from publishing novels with lyrical illustrations to girl’s comics. The fine lines in his delicate works make his pictures timeless. Please, enjoy many works here in Chiaki's world. may not have compete or accurate information including the date, title, publisher, magazine or brand of merchandise. 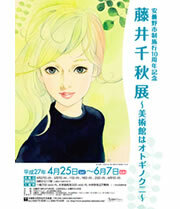 The work collection "The Dreams of Showa Maidens"
(Shogakukan) is available for sale.